The Moto G5, which is expected to be unveiled on February 26 along with the Moto G5 Plus, has allegedly passed through FCC. For those unaware, for a company to sell their smartphone in the US, it is important for them to get the FCC certification. Well, with the G5 getting FCC certified, Motorola might soon start selling the G5 in the US after it’s unveiled next month. 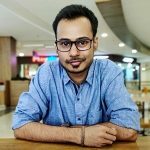 That said, neither are there any images of the Moto G5 on the FCC’s website, nor are there any specifications of the device like CPU, RAM, Display. 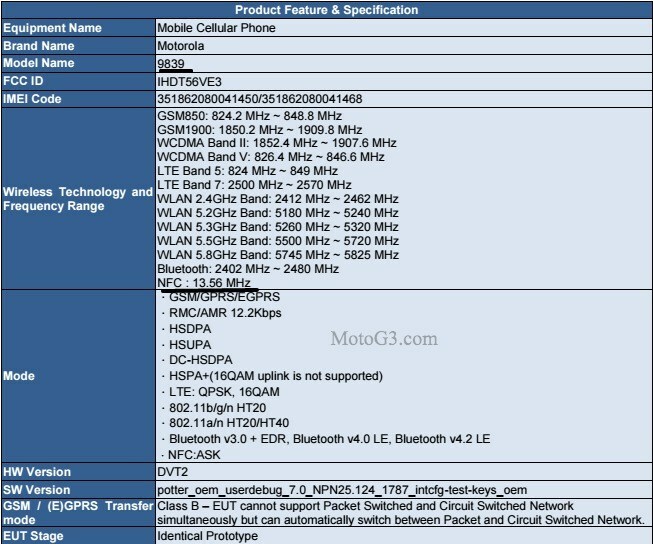 Also, this Motorola device is listed with model number 9839 and there’s nothing in the FCC documents which can confirm that this is the Moto G5. But, like we said, Motorola is expected to unveil the Moto G5 series on February 26, hence, it’s very likely that this device is indeed the upcoming Moto G5. The FCC documents do confirm that the device will have NFC chip along with Bluetooth 4.2, Wi-Fi 802.11 a/g/b/n and LTE. The documents also confirm that the device will have 3000 mAh Li-Ion battery with support for Turbo Charging. The device may also ship with a DTV Dongle which can be used as a TV Tuner with the phone. The difference between the Moto G5 and G5 Plus may not be much. The devices might only differ in screen size, battery size, amount of RAM and maybe CPU. 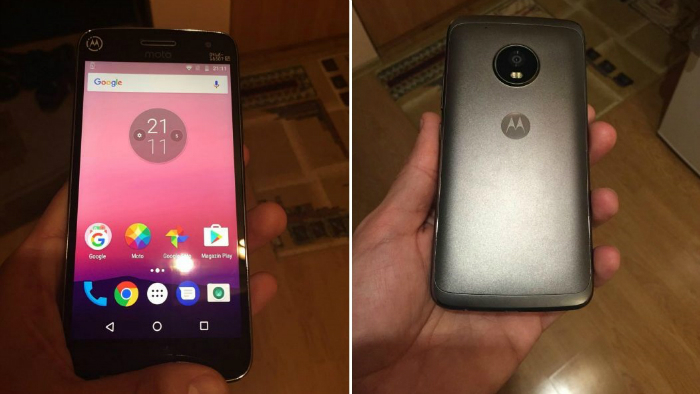 Speaking of Moto G5 Plus, we have already seen its leaked image, and, it’s expected to come with specifications like Snapdragon 625 SoC, 4 GB RAM, Android 7.0 Nougat, 5.5-inch Full-HD display, 13 MP rear camera, 5 MP front camera, fingerprint scanner and 3080/3100 mAh battery. We should come across more details of the Moto G5 and G5 Plus as we move closer to MWC.